MTV Artists was a music discovery platform that connected fans with millions of artists from around the globe. MTV came to Hydric to design and develop iOS and Android applications to make their platform available to people anywhere, anytime. With such a diverse existing and potential user base within the wider audience of the MTV network, creating an accessible user experience was key going into this project. For Hydric, an additional challenge was the need for the platform to be integrated into multiple third-party systems in order to deliver the desired experience. To ensure the application’s brand affinity, our design team leveraged MTV’s existing web offerings to guide UI and layout decisions, which incorporated staggered grids, sectional cards, and beautiful full-width imagery. Our core team had already gathered extensive experience working in the music discovery space with platforms like We Are Hunted, Twitter Music and The Echo Nest. 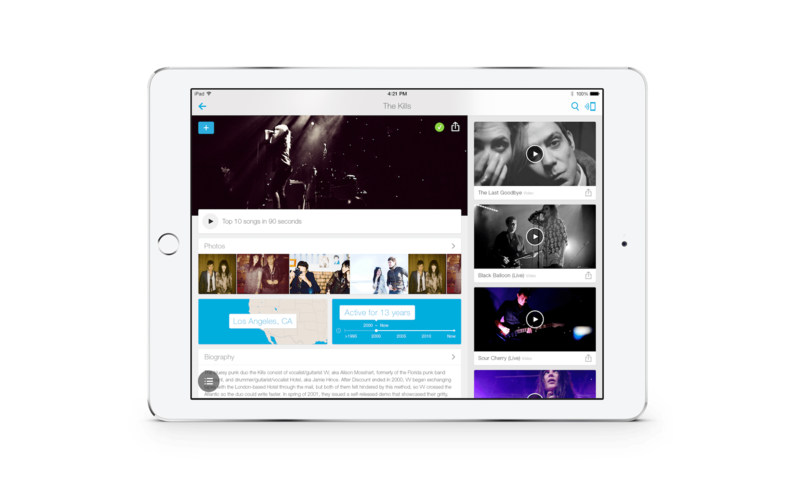 Utilizing this wealth of experience, innovative music discovery features were successfully implemented by leveraging music tech from The Echo Nest, Gracenote and LyricFind. Users could acoustically match audio playing nearby, search songs by lyrics, and browse related artists by genre, hometown and years active. MTV Artists achieved featured status on both the App Store and Google Play Store upon launch, and was even listed amongst the Top 10 Free Music Apps for iPhone. The apps received positive press from The Verge, The Next Web, Billboard and The Hollywood Reporter, and were honorees in the 2014 Webby Awards. Monthly active users were in the millions. 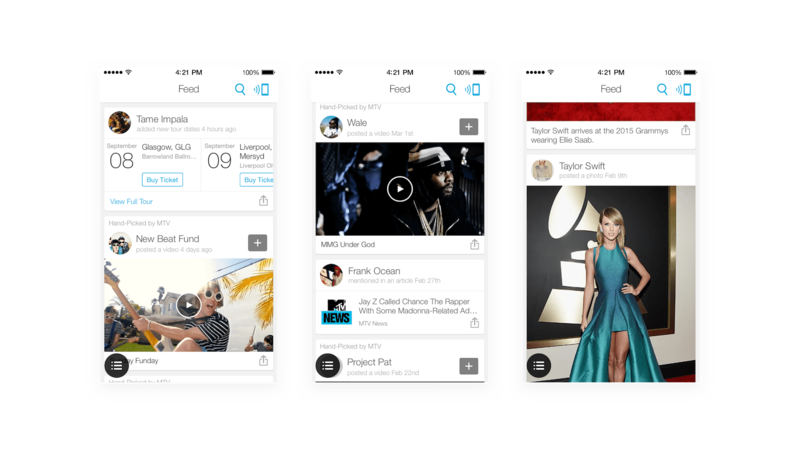 Following this success, MTV enlisted Hydric to design and build additional features for the app, including the ability to ‘follow’ artists to create a personalized user feed. One of MTV’s sister channels, CMT, contacted Hydric to create a country music version of the app. 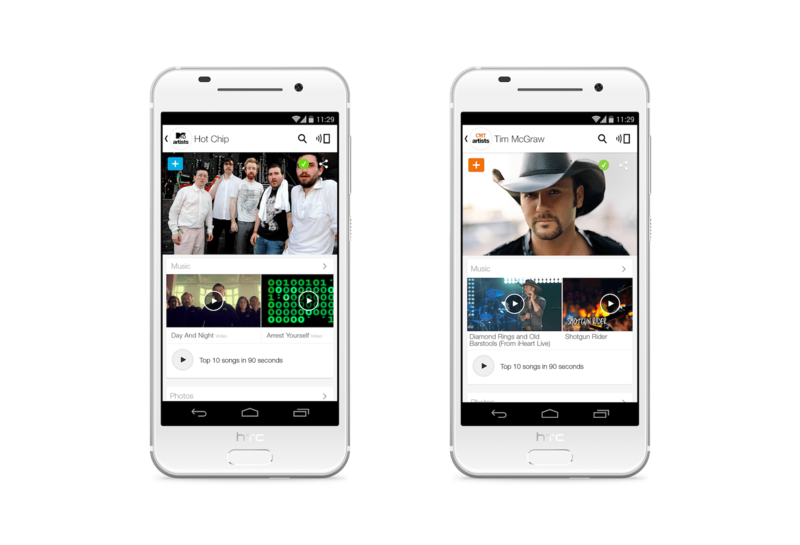 Its CMT Artists apps were launched shortly afterward. A formative project for Hydric in the first year since our inception, our specialist music tech experiences allowed us to transcend the usual growing pains of a new business, and forge a lasting relationship with Viacom, MTV’s parent company, which continues to this day. Hydric are truly an amazing team to work with. They brought great perspective and ideas, and also came to the table with some great technical solutions for getting us where we wanted to go.